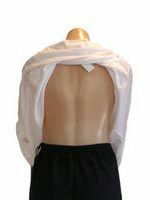 Petal Back Clothing is a dignified solution for painless dressing and continence management. Petal Back Clothing proudly supports the Continence Foundation of Australia "NO LIFTING POLICY" and the Department of Human Services Disability Service Division. 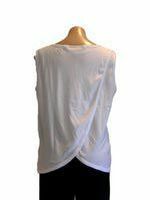 All Petal Back Clothing opens from the back & slides up the arms first and then over the head without using Velcro, studs, or buttons. The design reduces the risk of skin tears or bruising and makes assisted dressing easier. The back closes over for dignity. The design offers double thickness for warmth and comfort. 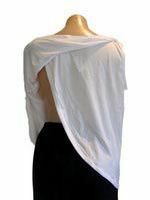 Deep armholes allow for easy dressing.